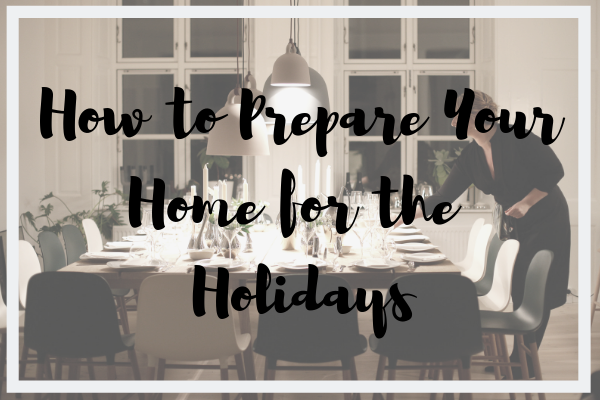 The holidays and guests inevitably brings in more items to your home – gifts, packages, suitcases, etc. The first step to combat this is declutter before your guests arrive! Start by going through your home, room by room, and divide items into three piles: Keep, Trash & Donate. Stock your guest rooms and guest bathrooms with all the comforts they may have forgotten to help make them feel at home. Spare toothbrushes, deodorant, shampoo and conditioner are great additions to the bathroom. In the bedroom, be sure to post your Wi-Fi password and put up some of your guest’s favorite flowers or their favorite candle. Do you have guests bring a toddler? Or a pet? If so, consider not putting up a tree or sentimental & heirloom ornaments. Set your lights on timers – make it look like someone is home!